Based on a shocking true crime. A raw and fascinating portrait of teenagers who have been left to fend for their own emotional purpose. 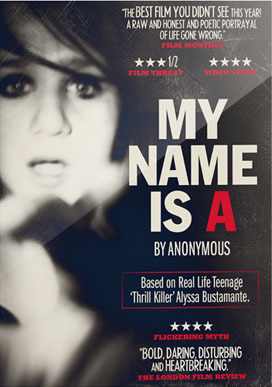 Based on the true story of Alyssa Bustamante who murdered neighbor Elizabeth Olten in 2009, and is currently in prison serving a life sentence. EXTRAS: Alternate Versions of Film, Trailers, Short Films, Music Videos, More.